This is a loving and beautiful tribute Koji. I have no doubt that your father knows how much you value and cherish him. Thanks for writing this, Pop. It’s perfect. Precious photos, precious memories. So sorry, Koji-san, an era passing, but thank goodness the stories saved. Rest in peace Ojiisan. What a complex life he had to live! You honored your father well putting all of it together here, and I know, since I had tears at the end of reading it, that it had to have been a sorrowful yet somehow joyful task for you to do. I wish I could have met him. 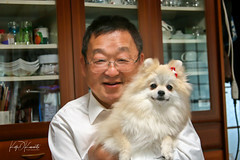 I like the most pic”~Although 96 y~ great-grandchild Emi. ~~everyone was scared he was going to drop her. ” !!!XD!! Oh Koji, this is such an outstanding picture chronicle of your father! (Okay, it’s time to get this eyelash out of my eye). What a wonderful record you have made of your father’s life, Koji. He is really a symbol of the century, spanning the continents and the great changes of those years. Wonderful photos, every one. What a beautiful presentation, Koji. 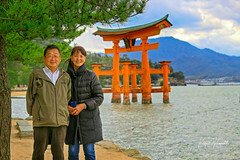 Koji, I am so glad you shared so many photos and reviewed some of the family history in sharing about your dad’s passing. What a remarkable man, and I mean that. He survived experiences that are hard to even imagine. How tremendous to have had this living example of resilience and endurance as a father, and to have had him in your life for so long. I’m sorry for your loss, although to be part of a loving family for 99 years is really amazing. Still, a goodbye is hard at any point. Thank you for sharing. I’m so glad I didn’t miss this! “Lucky,” I suppose–having guided my mind to deeper thoughts of others – this Memorial Day. Koji, I am so sorry for your loss. Your tribute to your dad is so loving, and filled with so much admiration and respect. Your family photos are treasures. Thank you for sharing your father’s and your family’s history through your precious photos. I actually spoke of your dad, earlier this year to my nieces, who were visiting, I was showing them some of my dad’s memorabilia and told them about your dad’s help in translating it and a little of his history that you had previously shared when we were in touch via flickr. I will always be grateful for your dad’s help. I will always appreciate the history of your dad and his/your family that you have shared. Ninety-nine years of a well-lived and well-loved life … rest in peace, Mr. Kanemoto. Jeanne-Rene, did a producer from the History Channel call you? And is that why he called me?